The Varsity Flex is an economical choice. 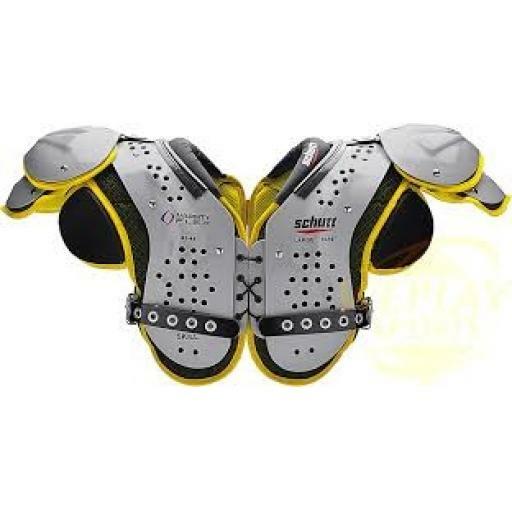 Quality shoulder pads for the entry-level player. The impact channels on the padding mimic the look of the AiR Flex. Just like the AiR Flex, the Varsity Flex also has 5mm vent holes throughout the arch. With 5mm vent holes throughout the arch, along with a breathable fabric covering the padding system, air circulates freely throughout the Varsity Flex pads. The Varsity Flex has a two-layer padding system that features closed cell, EVA impact foam for maximum protection. A layer of foam helps with the fit and comfort of the pad. The moisture-wicking Aero-Dry spacer fabric helps move sweat and heat away from the body.